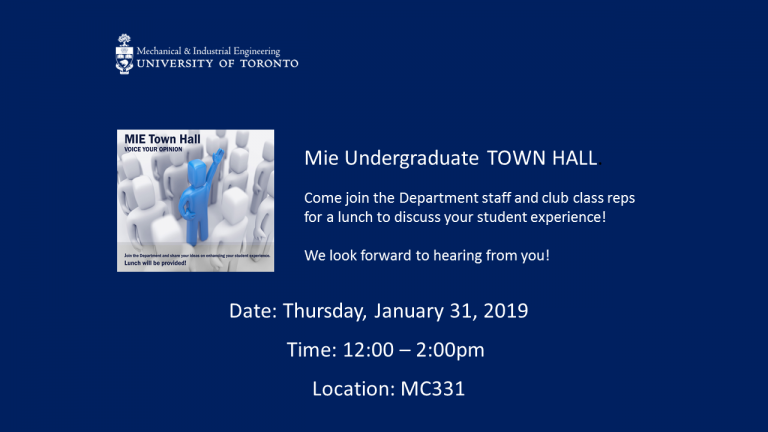 All Mechanical and Industrial Engineering undergraduate students are invited to the MIE Undergraduate Townhall. Professor and Chair Markus Bussmann will be in attendance as well as the Undergraduate Associate Chair and the Undergraduate Office team. This will be a great opportunity to share your feedback and ideas to improve the MIE student experience. Lunch will be provided. Registration required.